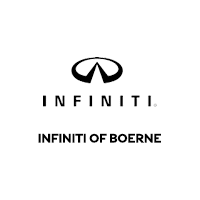 INFINITI of Boerne is proud to be your INFINITI dealership of choice! You can find our new and used dealership on 32275 Interstate 10. At INFINITI of Boerne it’s our goal to exceed your expectations from test drive to delivery and beyond. Please feel free to browse our extensive inventory of new and used cars, trucks and SUVs. In addition to our friendly and knowledgeable sales staff, we also provide financing, service, and parts. Visit INFINITI of Boerne today or contact us at (210) 477-1775 to schedule a test drive. Visit us today! We are located 10 minutes north of the RIM on Interstate 10 in Boerne, TX.